The spokesman for Iran’s Foreign Ministry has cautioned the European Union it should be quick to take measures to salvage the 2015 nuclear deal, since Iran is running out of patience with Europeans due to their failure to fulfill pledges to compensate for the US withdrawal. 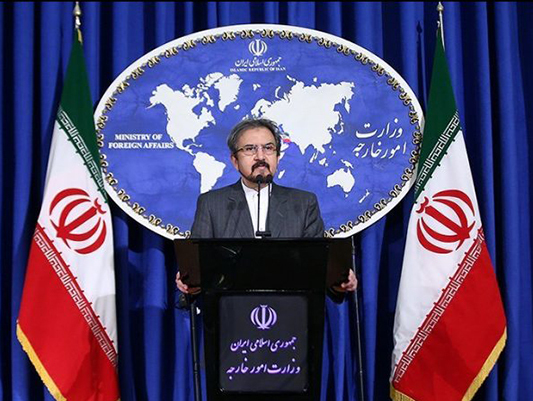 “Europeans as the main blamable party should think about consequences of this decision, as Iran has so far fulfiled all its JCPOA pledges, but its patience has its own limits,” Bahram Qassemi said in an interview with IRIB News Agency. The spokesman said Iran believes the US has taken captive the EU and European signatories to the 2015 nuclear deal, and it is up to the European governments to take vital decisions in favour of their independence. “Time for the EU to take a strategic decision to choose its path is coming,” Qassemi said. The EU was expected to finalise the Special Purpose Vehicle, a mechanism to facilitate Iran’s foreign trade amid harsh US sanctions, by the end of 2018. Talks between the Islamic Republic and the EU on preparing SPV are still ongoing.